I’m so excited to be sharing my next Cricut Design Star competition project with you! Our team chose Halloween as our theme, and I came up with this fun idea using my (affiliate) Cricut. You could also use a craft punch or your own cutting to create these! 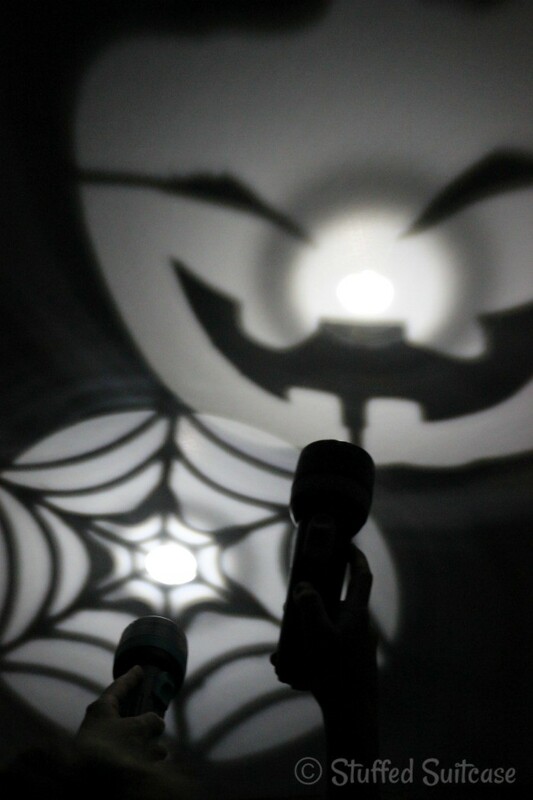 These DIY Halloween Flashlight Projections are already a favorite of my daughters and I know they can’t wait to take them along while trick or treating on Halloween night. This Halloween craft is really pretty simple thanks to the cutting work of the Cricut! First, pick up some flashlights. Or I guess torches if you call them that. :) I chose to get these Rayovac ones since they were affordable and I wasn’t worried if my daughters dropped one. Next, get some cardstock for creating your shapes from your favorite craft store. Michaels or Jo-Ann stores normally have it in stock. I used images found in the Cricut Design Space™ and sized them to be 2″ to fit a basic flashlight. It would be easy enough for you to resize them if your flashlight opening is wider/smaller. I even created a smaller 1.1″ size to fit mini flashlights I purchased as well as the standard size. Just know that the mini size ones did not project that well. If you want a smaller flashlight, I recommend buying a higher end one that has a better light reach or more “power”. 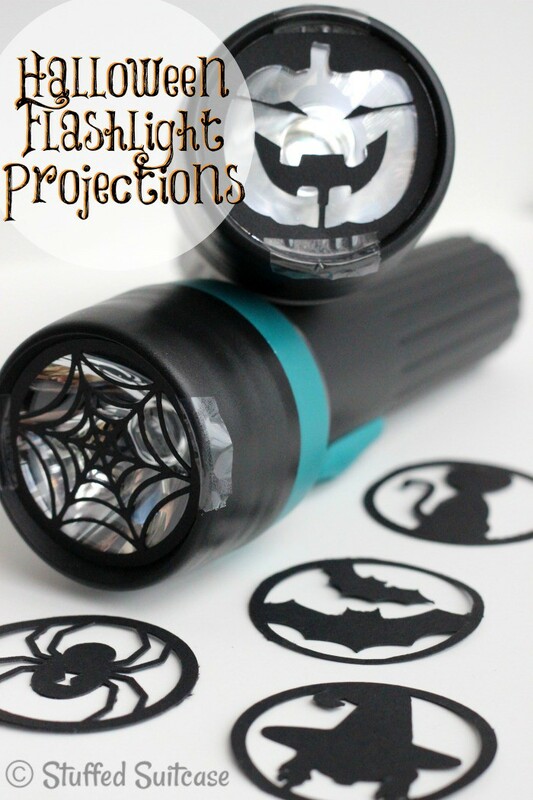 Here are the 2″ DIY Halloween Flashlight Projection Silhouette Shapes and if you want to try the smaller size here are the 1.1″ shapes. You can also just resize the 2″ project to whatever works for your flashlight. Once you load your cardstock, cut your project and remove the shapes, just tape them to the edge of your flashlight. I considered trying a few different options for attaching the projection shapes, but my girls liked changing the shapes often so I decided a couple of pieces of tape worked the best. I really hope you your kids enjoy this fun DIY halloween craft! I’d love if you shared a photo with me if you use my idea at a Halloween party or when your kids trick or treat. Just tag me on instagram or twitter or post a photo on my facebook page. If you’re looking for some other fun Halloween fun ideas, check out all the great projects created by my Cricut Design Star team! Spider to the Fly Text Art by Hideous, Dreadful, Stinky!